The first choice for your accommodation in Sapa is Chau Long Hotel because of the view to Fansipan Mountain and it propositional services and staff. 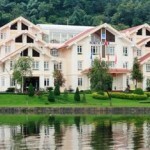 Our Sapa travel team has come to the hotel to check all information and update the facilities of Chau Long Hotel. 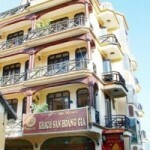 Chau Long Hotel located in the quite road in the center of Sapa. 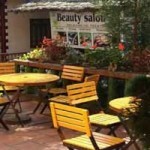 This hotel is one of first choices when travelling to Sapa. Experience unforgettable moments at Muong Hoa Restaurant, while dinning delicious Vietnamese and Western cuisines, and enjoying spectacular views of the Hoang Liem Mountains and Muong Hoa Valley. 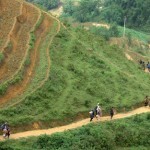 You are also welcome to enjoy your desert or drink on the terrace, to get closer to majestic nature of Sapa. Breakfast menu full of delicious choices from Western and Vietnamese menu: eggs and omelets that cooked by guest’s special order, baguettes, toasted bread, fresh vegetables, ham, bacon, several kinds of cheese, yoghurt, fresh milk, granola, cornflakes, croissants and other pasties, homemade jams, large variety of fruits, fried rice and noodles, sautéed vegetables, traditional Vietnamese noodle soup with beef (Pho), juices, coffee and tee.